When you first hear the word “infographic,” your immediate thought is unlikely to be “PowerPoint.” In fact, many people are completely unaware you can create great infographics with powerpoint. And yet, it’s an incredibly useful tool that comes with fully customizable options and does not carry any expense, as it’s a program most people have. There’s no need to get (or to learn!) 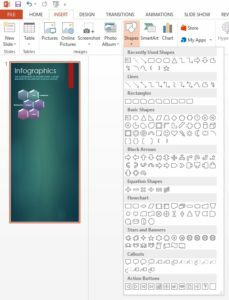 Photoshop, nor subscribe to any of the infographic-creating software options that tend to come with a hefty price tag. Many content creators avoid infographics for this very reason: They tend to be time-consuming, frustrating, or expensive to create. Another option is to outsource your infographics to professionals and let them do the creating for you. 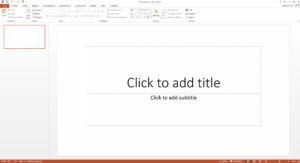 But if you’re looking for a great DIY option, PowerPoint provides a surprising and highly effective option that will allow you to create quality, original infographics to complement your content marketing strategy. Infographics have many large benefits, as they allow you to present your information in a user-friendly manner that’s effective and succinct. 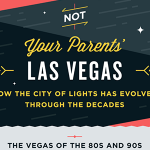 Whatever your topic, it’s possible to present it in the form of an infographic. 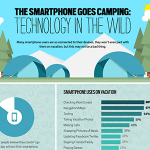 In fact, providing an infographic is a brilliant way of conveying it in the easiest way possible. Infographics are more readily shared than written content alone tends to be, and they do incredibly well on image-based social media platforms such as Pinterest. 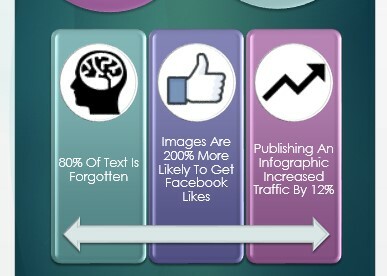 The statistics on visual content are impressive. Eighty percent of text-based content is forgotten as soon as it’s read, while infographics are read 30 times more than the same information in text format. You’ll also enjoy a 12 percent boost in traffic after publishing an infographic. Sixty-five percent of people are wired to learn visually. Add to this the fact that it will do wonders for your SEO by providing multimedia content, then there are loads of great reasons to make infographics. 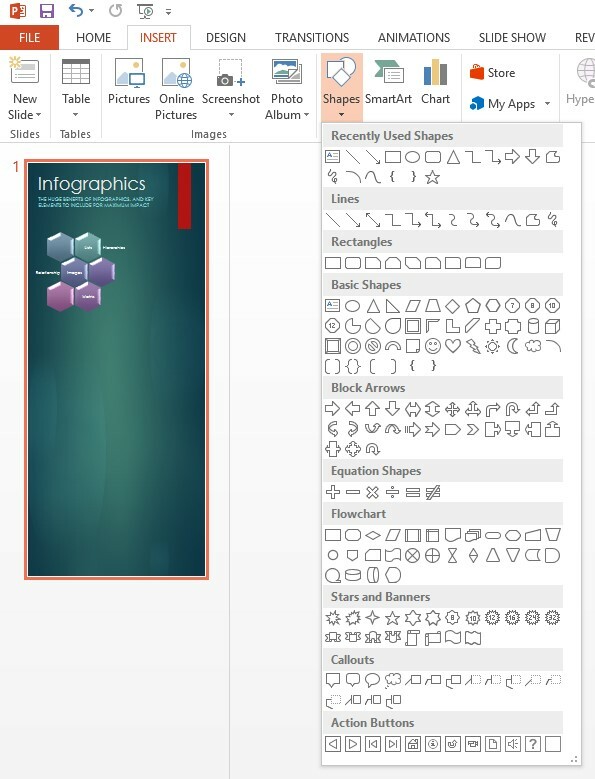 Creating infographics in PowerPoint is surprisingly simple. The only limit is your patience and imagination. Even the more advanced techniques are straightforward, and there are many premade and easily customizable elements to get you started. 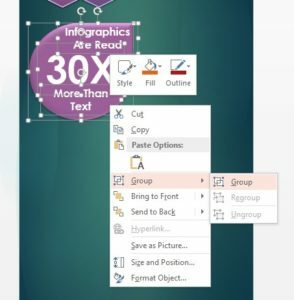 We’ve put together a super simple, eight-step guide to making infographics using PowerPoint. 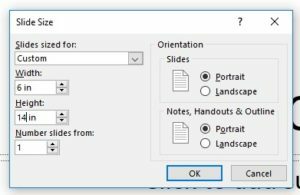 Before we dive in, note that exactly how you change settings and use certain controls may vary slightly depending on your version of PowerPoint. 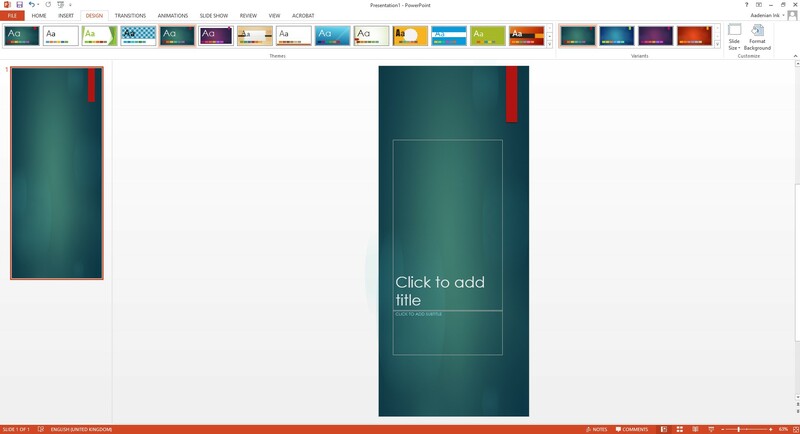 This example was created in PowerPoint 2013. It’s recommended you make the image 6 inches wide by 14 inches tall to get started. However, remember that different platforms have different size requirements, so consider where you want to share your infographic when deciding on the size. 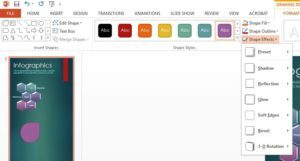 You can combine these two functions by setting a theme that will automatically ensure your fonts and colors are complementary and then adding a custom image to the background. This will link all aspects of your newly created element together. Now when you click on it, you will find it is selected as if it were a single element rather than several. This is especially useful because you can then move it around easily without losing your alignments. 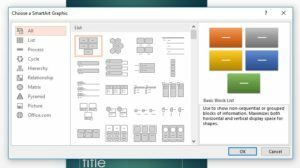 Remember, one of the benefits of creating infographics with PowerPoint is that you can always return to “Custom Slide Size” in the Design tab to change the dimensions of your infographic if you find you have too much or too little space. 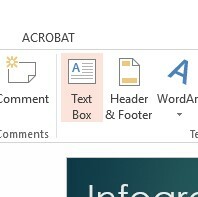 Once you’re happy with your infographic, go to “File,” click “Save As,” and select the file type you’d like your infographic to be in. 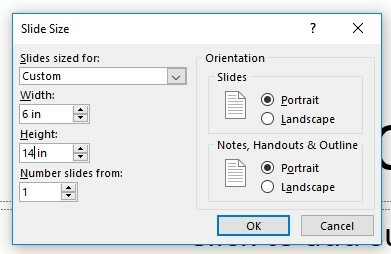 PowerPoint will default to saving it as a presentation, but you can select various different file types from the dropdown list. 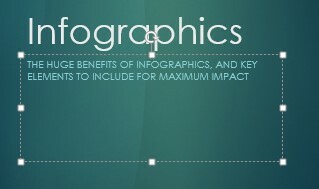 You can publish your infographic to a PDF; however, your file will be more versatile in JPG or PNG format. There’s no reason you can’t save it in multiple formats, so you have different versions for platforms that have different requirements. 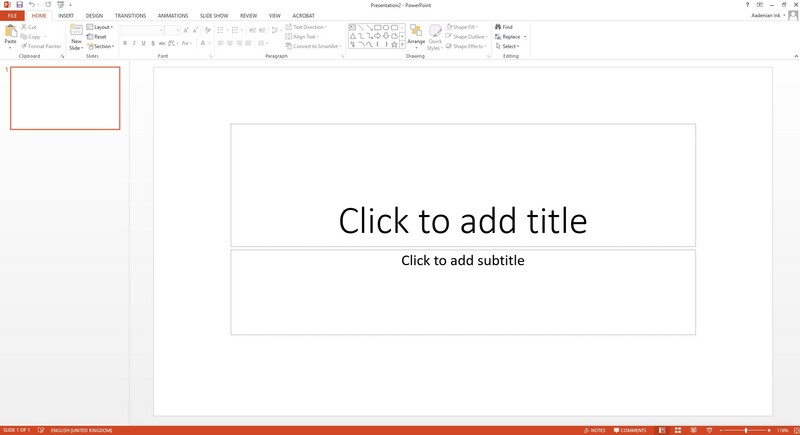 When you click “Save,” PowerPoint will ask if you want to save the whole presentation or just the one slide. Select the slide. Remember, there’s more to creating an infographic than using the tools needed to create the visual. 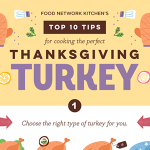 Like any piece of content, your infographic should be designed for maximum value and impact. 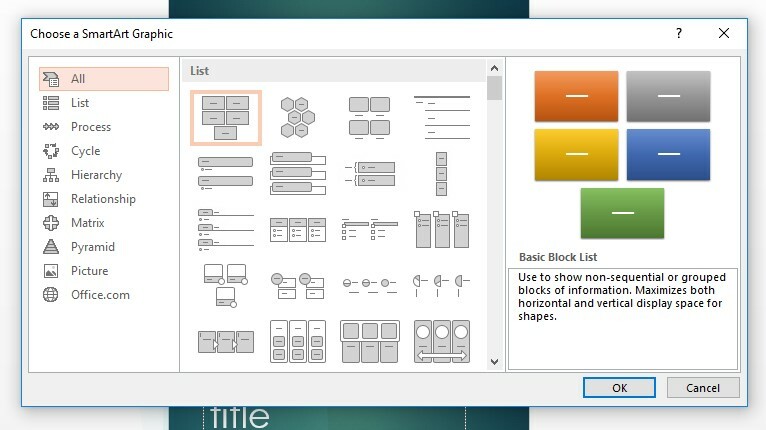 The one created for this post is simple, so as to show you how to create the basic elements. 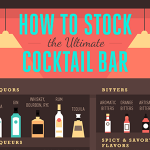 However, there are no limits to the infographics you can create once you’ve learned how to do them. Plan your infographic carefully. Think of a catchy, attention-grabbing headline, and follow it up with a compelling subheading. Arrange your information so it flows and has a clear narrative, even if only to the extent that facts and text are laid out in the most logical order. 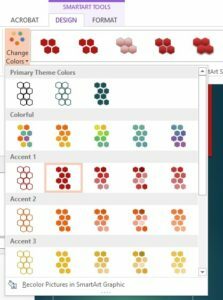 Use original design elements, such as your logo and brand photographs, and customize every aspect of your infographic so it aligns with your brand colors, fonts, and the general look and feel. 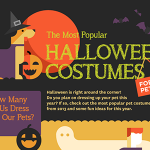 Finally, make sure you take full advantage of your new infographic. Infographics do particularly well on Pinterest, so if you haven’t already installed a “Pin It” button on your website, it may be a smart idea to do so. Continue to promote your infographic by writing a blog post to accompany it, share your infographic on social media, and make sure your readers can easily share it, too.